These lucky dogs have found their forever homes! Huge thanks to their families for opening their hearts and homes! 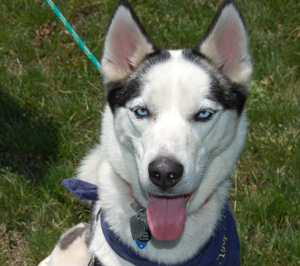 Farrah is a beautiful, energetic puppy ready to rule the world! 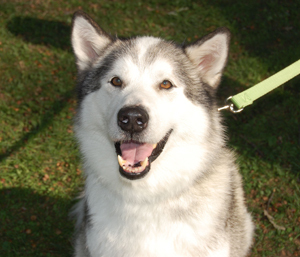 She is a happy girl with a constant Siberian smile and a tail that is always wagging with pleasure. She loves to play with her foster’s husky and then curl up to cuddle with foster mom. She is a love with plenty of kisses for you. Annabelle is an adorable puppy full of energy and a zest for life! She is a super sweet little girl that loves all dogs, children and adults. She is a little timid until she gets to know you, but then you have a friend for life! She is very affectionate and once playtime is over, she loves to cuddle and nuzzle with you. Eva is a gentle girl and is rather low energy. She is great with other dogs and absolutely loves people. Eva is happiest when she is near you ~ especially if you allow her to share the couch for some quality time. She seems to know that she has been given a second leash on life and she will make someone very, very happy.